Here’s Entry #2 in this blog’s first-page critiques. The anonymous author’s first page is below. Author Meg Gardiner‘s comments and my edits follow. …said Mr. Pringle to his tired and mutinous children, all girls, as he dragged them in a ragged line through the Dolorous Garde, the gate on the westernmost side of Mayfair Gardens. Usually these words begin a story. Here, they brought one to an end. Specifically, his. If fate had let him finish, Manny Pringle’s last words on Earth might have ended in Paternal Advice: “…If thee were to be sick in company, Modesty, thee’d use thy hat”. Or maybe in an Improving Proverb: “…I’d not have to remind thee, Patience: ‘Smile, and the world smiles with thee; cry, and I’ll give thee summat to cry about’”. Instead, as he hurried his family under the reverberating bronze dome, a bomb blew him out of his boots and into nothingness. It was the boots that were to blame. They had been plaguing him all day. Only last Monday, they had been sat in all their dark glory on the two-pound-ten shelf of Lancashire’s finest bootmaker in (“Enoch Duckworth, Bootier. By Appt. to His Worship the Mayor of Cogthorp”). “That sole had better last”, said his eldest daughter checking off her list. “It’ll last longer than you, miss, and it’s almost as smart, if you ask my opinion”, said the shop boy. A small face popped up over the level of his counter. “If we want your opinion, we’ll ask a monkey”, it scowled. This is a charming and fun opening page — which is an accomplishment, considering that the main character gets blown to smithereens. Its success is down to an intangible quality: the author’s voice. It’s lively, lighthearted without being saccharine, and has just enough of an edge to keep the story from feeling either gooey or dark. There’s a Roald Dahl-ish vibe to Mr. Pringle’s tale. I’m curious that the author describes the story as science fiction, because the language is deliberately anachronistic, in a way typical of fantasy or fairy tale. It even starts with “Once upon a time.” (Kiddie Steampunk?) This can work, but the speculative/SF aspects need to get going quickly, especially in a children’s book. It doesn’t have to be in the first paragraph, because even in a kids’ novel there needs to be room for world building. But soon. It opens with the Pringle family on an expedition to Mayfair Gardens. That’s good: it’s an immediate scene. It veers into speculation about what Manny Pringle might have said, if he had survived. The imagined quotes, with their insightful labels (Paternal Advice, Improving Proverb, Last Warning) give us Pringle’s personality. But in essence they’re backstory. Coming immediately after the opening paragraphs, they distract and slow down the narrative. The final third of the page is a flashback to the purchase of the boots — an entirely different scene. In other words, the page is trying to do a whole lot. Maybe too much. Starting with a dramatic event is a good impulse — it hooks the reader. Just don’t wait too long to come back to it. I don’t know what age range the story is aimed at, but if the narrative swoops back and forth too much, children can struggle to follow it. Be wary of that. In sum, I would definitely read on. I absolutely loved this page. It intrigued me from the get-go, on many fronts. It was quirky, the language was elegant and playful, and I was hooked immediately. The father was a definite character, and the last line made me want more. The tone of the piece could have been much darker, given the fact that Mr. Pringle blew up, but the fanciful and lively writing sets the reader up for something fun as well as mysterious. Using “Once upon a time” to start a story is risky, of course, but it works here, on two levels. First, it is something Pringle was actually saying. Second, it sets the tone for the piece. I see from your “title” that this is a piece of science fiction for children. In that case, this is an excellent opening line, but you must make it work for you later in the story. You give examples of what last words Pringle might have spoken, led in with an ellipse, but the words don’t really follow on what the first part of the sentence was, “Once upon a time…” I love the possible quotes, but they don’t quite fit with the lead-in. That would need some remedy. And there are perhaps too many quotes, though I suspect this was due to his addressing each of his daughters, and perhaps giving us insight into their personalities (particularly to Prudence). “a bomb blew him out of his boots and into nothingness. It was the boots that were to blame.” That is such an unexpected line. Caught me off guard immediately. I like that. Only last Monday, they had been sat in all their dark glory (“they had sat” is more concise). “finest bootmaker in (…) You don’t seem to finish the sentence after giving the bootmaker’s name. I see by your punctuation that you are writing in British English, so I won’t comment on punctuation. For a first page, this was exactly to my taste as appetizer. Well done! Thanks for submitting. 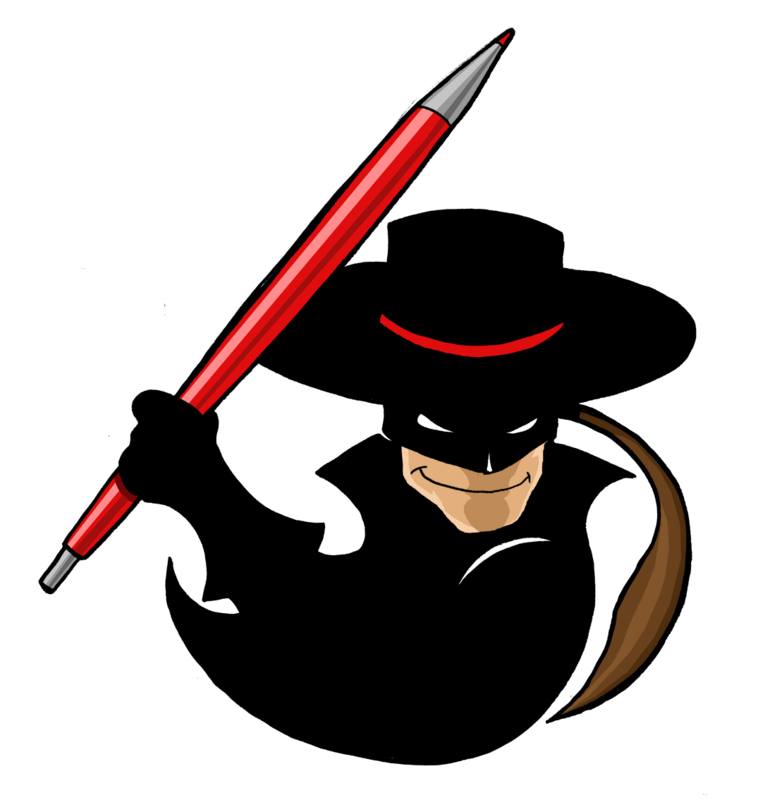 And thanks to graphic novelist Lucas Turnbloom for the swashbuckling editor icon!